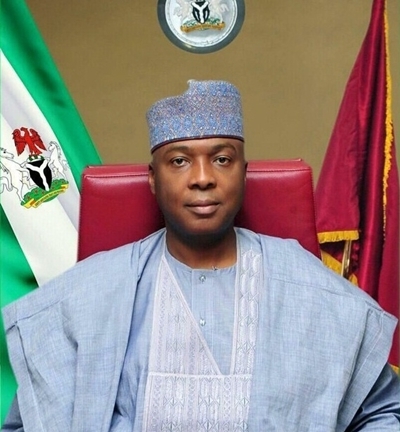 Senate President Bukola Saraki has administered the oath of office on Shuaibu Lau, the newest senator in the country. The lawmaker representing Taraba North Senatorial District, Shuaibu Lau, the newest senator in the country, after he was on Wednesday morning, took an oath of office by the Nigerian Senate President, Bukola Saraki at the National Assembly, Abuja. Recall that the Supreme Court had sacked Abubakar Danladi on June 23 and declared Shuaibu Lau as replacement and also ordered Danladi to refund all salaries and allowances earned in the Senate within 90 days. Danladi was sacked by the Supreme Court on the same day a member of the House of Representatives, Herman Hembe, was also sacked by the apex court.